This unique and stylish Lanart Rug Loft Shag area rug will tie any room together in your home. This indoor rug made from plush synthetic material is both comfy and stylish. This machine-made rug makes long-term decorating easy. Bring this solid patterned pink rug into your living spaces for a contemporary design aesthetic. This Artistic Weavers Abbotsford area rug infuses contemporary style into any room in your home. Decorate the right way with this indoor piece constructed from plush synthetic material. High-quality and high fashion, this machine-made rug is perfect for you. Add this oriental patterned brown rug to the decor of your home for a contemporary infusion. This Artistic Weavers Eaubonne area rug infuses contemporary style into any room in your home. Bring this high quality plush synthetic indoor rug into your home to upgrade your interior design immensely. The hand-made construction of this rug makes it high-quality and durable. Add this floral plants patterned pink rug to the dicor of your home for a contemporary infusion. This modern Artistic Weavers Wassigny area rug will instantly improve any room you place it in. Great quality is assured with this indoor piece made out of plush synthetic material. High-quality and high fashion, this machine-made rug is perfect for you. This contemporary brown rug has a lovely floral plants pattern for an impressive look. This stylish Balta Us Classical Manor area rug is a high quality dicor option. Great quality is assured with this indoor piece made out of plush synthetic material. A durable product is assured with this machine-made rug. This oriental patterned blue rug makes a contemporary mark on your home's interior design. Loft Shag Pink 6 ft. x 9 ft. Indoor Shag Rectangular Area Rug This unique and stylish Lanart Rug Loft Shag area rug will tie any room together in your home. This indoor rug made from plush synthetic material is both comfy and stylish. This machine-made rug makes long-term decorating easy. 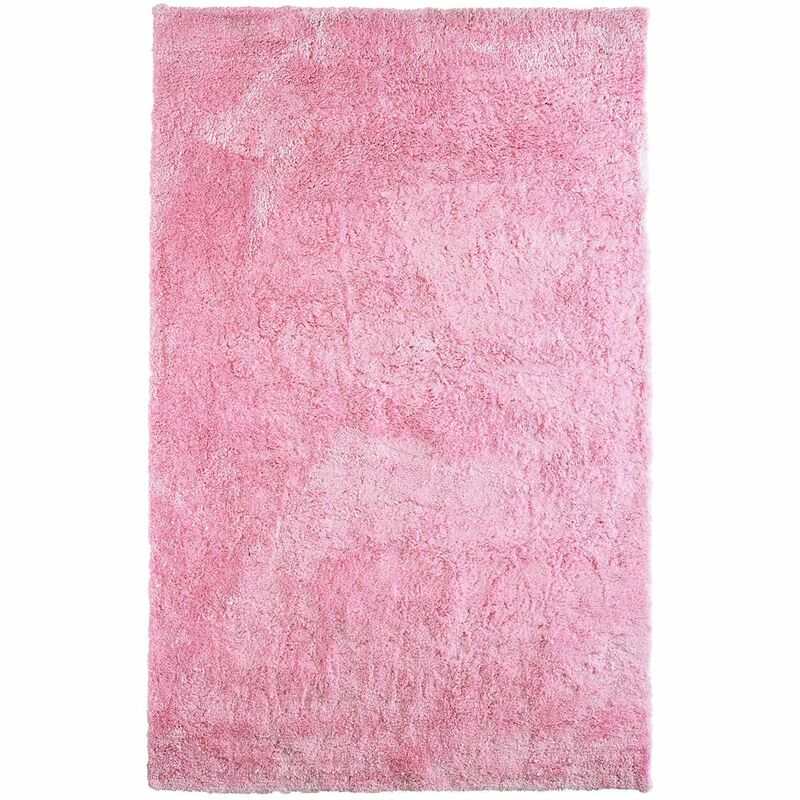 Bring this solid patterned pink rug into your living spaces for a contemporary design aesthetic.